The Cap is always prepared. 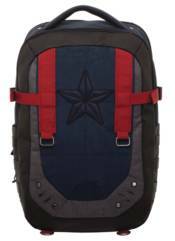 Be ready for anything, anywhere, anytime with this Captain America built-up backpack. Multiple pockets and utility straps. If you need to carry it, it will go on or in this backpack!